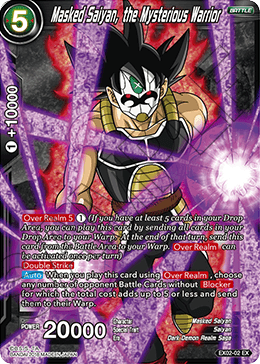 When you play this card using , look at up to 2 cards from the top of your deck. Choose up to 1 of them and add it to your hand. Then, place the remaining cards on the top or bottom of your deck in any order. 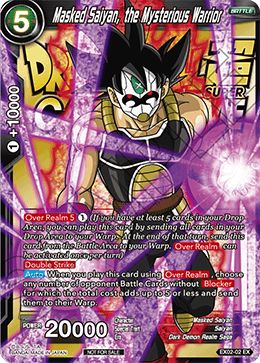 When you play this card using , choose any number of opponent Battle Cards without for which the total cost adds up to 5 or less and send them to their Warp. 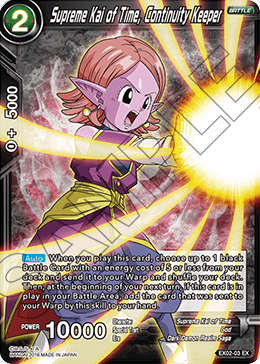 When you play this card, choose up to 1 black Battle Card with an energy cost of 5 or less from your deck and send it to your Warp and shuffle your deck. 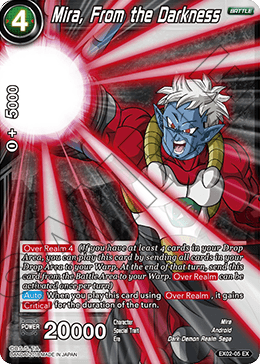 Then, at the beginning of your next turn, if this card is in play in your Battle Area, add the card that was sent to your Warp by this skill to your hand. 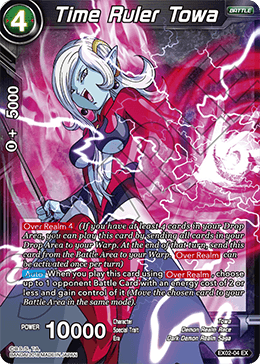 When you play this card using , choose up to 1 opponent Battle Card with an energy cost of 2 or less and gain control of it (Move the chosen card to your Battle Area in the same mode). 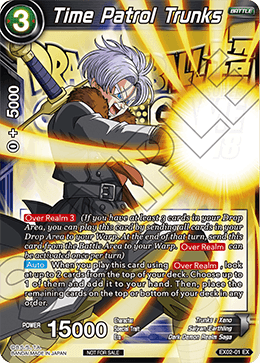 When you play this card using , it gains for the duration of the turn. 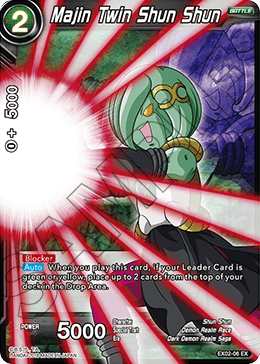 When you play this card, if your Leader Card is green or yellow, place up to 2 cards from the top of your deck in the Drop Area. 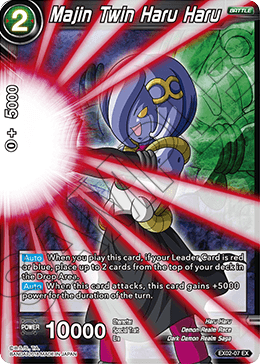 When you play this card, if your Leader Card is red or blue, place up to 2 cards from the top of your deck in the Drop Area. 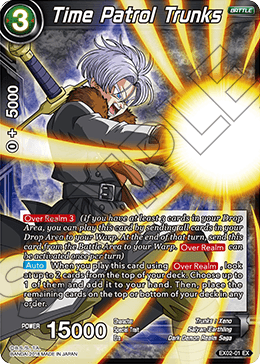 When this card attacks, this card gains +5000 power for the duration of the turn.